I was at a party the other night and someone asked me what I do for a living. When I told them my husband and I have a Homecare agency their face went completely blank. They had never heard of homecare– and they wondered, what is it? Who is it for? Why would someone use it? It actually reminded me of myself 10 years ago- when I had never heard of homecare either. Unless you have a reason to be involved with seniors, you might not have heard of homecare as an option for staying in your own home as you age. But, before you know it, you might be in the position where it can be a lifesaver. Perhaps your dad falls and breaks his hip and you are not able to take 6 weeks off work to help him recover at home. Perhaps your mother has passed away, and your dad can no longer live independently, but can’t imagine selling the family home. Perhaps your grandma is showing signs of early dementia, but can’t imagine moving apart from her husband of 55 years. 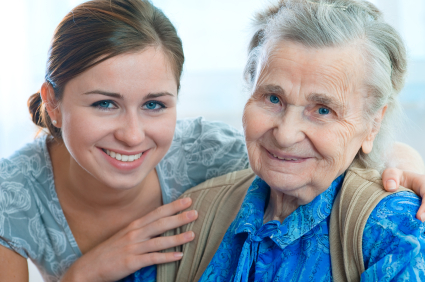 These are some good examples of why people would chose homecare. The fact is, most people would prefer to recover or age in the comfort and familiarity of their own home. Besides, who wants to go through the stress of uprooting and selling your home, or moving to a community where you don’t know anyone (see my post here about the importance of community). Hiring a caregiver to come into your (or your parents) home to provide the care that you need is often the best solution. Having total control over the care that is being provided gives you the piece of mind to know that you will chose exactly what services you want to receive. So, next time you hear someone mention homecare, you will know, it is a wonderful service being offered by trustworthy people who want to help you or your loved one age in place and remain independent.